During our family's recent home shopping experience, we came across houses in various states of repair and disrepair. In one home, our Realtor pointed out the zigzag crack traversing the floor tiles from one room to another, continuing under a wall. At another, we stepped over the wide fracture running the length of driveway. While not necessarily deal breakers, they were worth noting and those homes ultimately didn't make our “must revisit” list. One of the most popular home renovation shows on HGTV right now is Good Bones, in which a feisty mother and daughter duo tackle renovating homes that look beyond hope and, with a little bit of sass and a whole lot of hard work, manage to transform them into gorgeous spaces. It’s tempting, when viewing a show like this from your comfy couch, to get inspired and think, Hey! I could probably do that! How hard could it be? Ripping out kitchen cabinets? Gutting a bathroom? Replumbing or rewiring? Mom Karen E. Laine and daughter Mina Starsiak make it look easy peasy! But watch the show a few times and you’ll see how expensive and dangerous those tasks can get, even for professionals, like that one time they toppled a chimney right through the second floor of a home. Popular home reno shows notwithstanding, when you’re touring potential homes, keep a few tips in mind to determine whether the home you’re drawn to is one that you should pass on by. 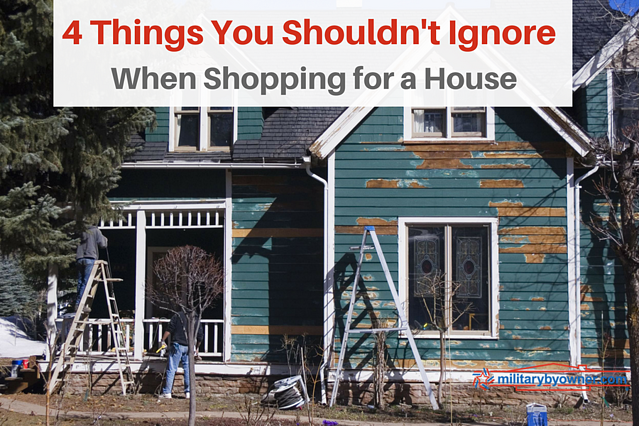 What can you ignore when buying a home and what are some red flags that could cause you to walk away? We’ve talked before on this blog about what you can ignore when home shopping, usually purely cosmetic features that you can easily repair or those you can live with until you can afford replacement costs, such as ugly carpeting, dated appliances, or not so favorite colors or finishes in the kitchen. 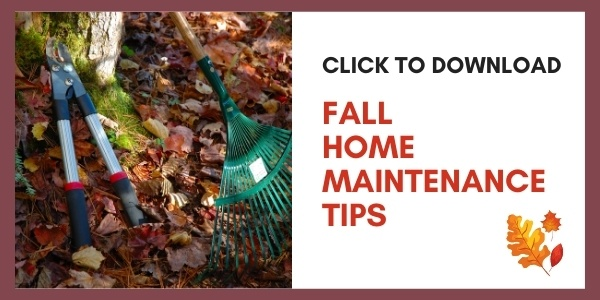 It will be trickier--not to mention expensive--to overhaul major issues such as foundation repairs, the roof, or electrical and plumbing problems if you don’t have the expertise or are willing to hire a professional. 2) Major problems noted on the seller’s disclosure. Pay close attention to this statement. This disclosure form is required from sellers of previously owned residences and shares the facts and condition of the property. Any flaws or problems should be noted here, including structural. Take a look at what's noted and whether any problems are easily fixable or not. Each state has its own laws regarding the seller's disclosure, which you can find out more about on NOLO.com. 3) Deeper issues that turn up on the home inspection. We will keep hammering this point for home buyers. Don’t forgo the home inspection! It’s not worth saving a few hundred dollars up front (the buyer pays for the home inspection), only to end up thousands or tens of thousands in the hole later for issues an inspector could have easily spotted. For buyers using their VA Home Loan benefit, there are certain conditions that must be met before loan approval, even if it’s a foreclosure or distressed property. There are other problems that only an inspector would notice. One of MilitaryByOwner’s staff, Trung Brill, had this to add about a problem her home inspection turned up, which she wouldn’t have known about otherwise. The finding ultimately saved her money in costly repairs. In my area, a lot of people don't know about radon, which over time can be toxic. That was something we had to have remediated before we closed, along with the smell of gas, which turned out to be a pipe leak in the line, located in the ceiling of the basement level. Is the home in a flood plain? If you’re planning to add on to the home, is there enough space available for your addition, and how difficult will it be to acquire the needed permits? How close is the house to where you work, where kids go to school, or other activities? If you’re a handyman who loves nothing more than a good home renovation challenge, then perhaps a "Good Bones" type house is perfect for you! For the rest of us, it’s best to have our eyes wide open to problems with a house, whether simply cosmetic or larger.